Click the button below to add the NON-VOLATILE PERMANENT IMPREGNATOR to your wish list. A penetrating sealer designed for the protection of all medium to dense porous surfaces. Permanent Impregnator forms an invisible barrier that is resistant to moisture and stains while allowing vapor to escape. 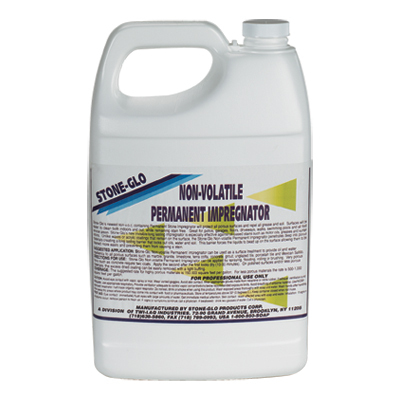 Permanent Impregnator is not a surface coating and will not alter the natural look of the stone. Surfaces treated are harder and less slippery.